Fluffy, cotton-like flower and seed heads give this distinctive plant its name. As a member of the sedge family, its technically not a grass . 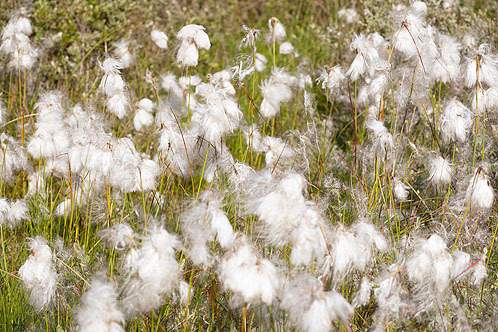 The white plumes of cotton-grass are a familiar sight in wet hollows on moorland..